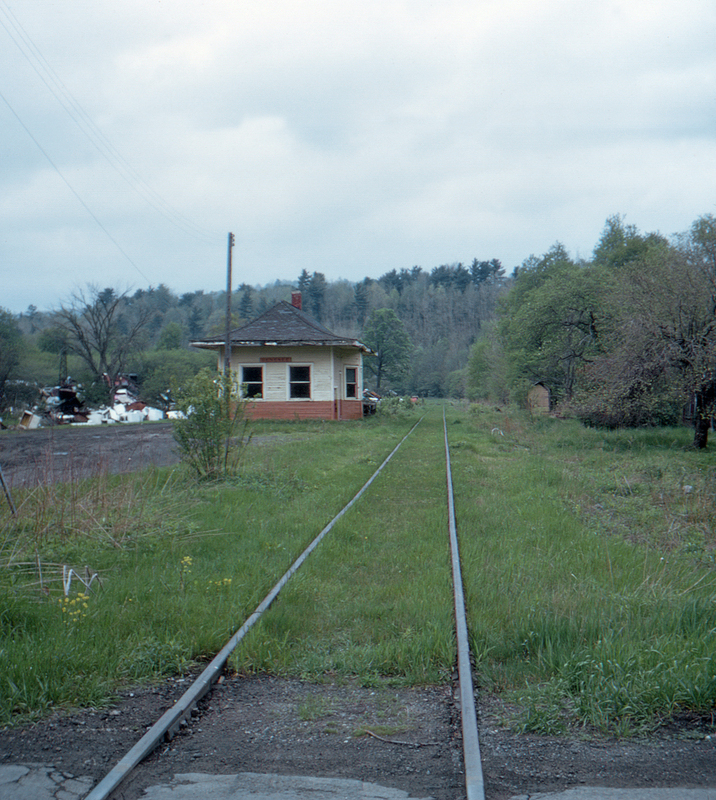 The Buffalo & Susquehanna's line from Galeton to Genesee, Pennsylvania was built in 1895, providing a connection to Wellsville, New York via the existing Wellsville, Coudersport & Pine Creek. The New York & Pennsylvania Railroad also crossed here (actually, it shared a few dozen feet of the B&S, with the NY&P curving off to the right just past the Genesee, Pennsylvania depot seen here, after joining the B&S from the left just behind the location of the camera). A major flood in 1916 resulted in fatal damage to the NY&P, and it was finally abandoned in 1936 after a second flood the year before.